So the rigging of the Robot is going well. 595 bones and counting! Any bets on how many it’ll have by the end of it all? Anyway, any fancy thing you’ll be doing on this baby? Ropes (with dynamic?) or a cool spine rig? 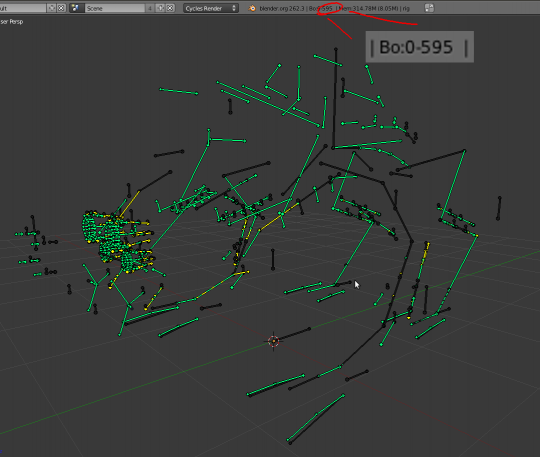 Working on rigging a robot myself actually, using additional bones to deform some loose wires hanging between joints. Blender rocks my socks! Animation tests? This looks awesome. Where you abel to make the Job easier? Bye Unsing one phneumatik Rigg multibel Times? and are youe Using an Armature Modifier or are thead all Singel Objekts…??? the eyes look very complex… a luky guse thers a Camera Blend under the glass…???? I would never be able to have patience to rig such complex stuff. ><. Much respect to you guys. Oh God! I would never ever want to rig that thing, respect! Why there are so many bones for the lamps at the front? I see there’s a lot around the head and ‘eyes’. I’m really intrigued to see how this little beasty animates. 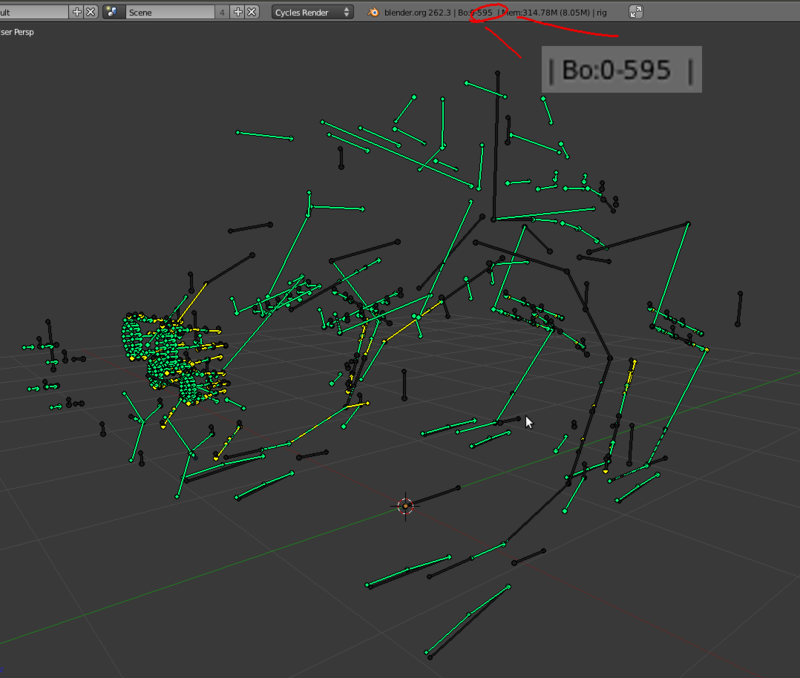 On a rig, that we made, we reach an average of 260 bones per character but… 595! !, that’s too much.